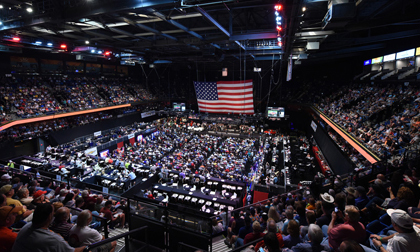 UNCASVILLE, Conn. – June 26, 2016 – Barrett-Jackson, The World’s Greatest Collector Car Auctions®, made history with its first double sellout during its Northeast Auction, June 23-25, 2016, at Mohegan Sun. For the first time in the company’s 45-year history, tickets sold out within hours after gates opened and the vehicle docket closed well in advance due to strong demand. The auction also shattered attendance records of any event at Mohegan Sun. The overwhelming response led to Barrett-Jackson’s most successful inaugural auction, generating total sales of more than $26 million, 552 vehicles sold and a sell-through rate of 96 percent.